Author: Harry K. Brower Jr. 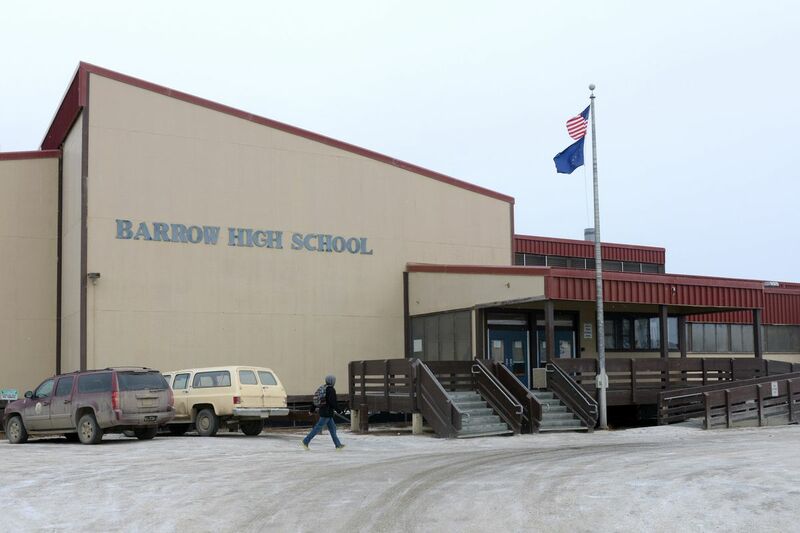 The Barrow High School building photographed on Sept. 24, 2015, in Barrow (now Utqiaġvik). Educating our youth here at home is what those who walked before us envisioned when the North Slope Borough was created years ago. Prior to that time, our young people were sent away after grade school from their homes and their culture. They were thrust into boarding schools — sometimes out of state — where they were sometimes forbidden from practicing their culture. I was lucky. Because of my elders who fought for my right for self‐determination, I was able to stay here at home with my family and my village throughout my schooling. I was able to hunt, eat my Native foods, practice my Native dancing and speak my Native tongue. I did so while also receiving a good education and had opportunities to stay in my village after I graduated. I would have liked to have had the chance to further my education beyond high school. Now I want to give every high school graduate the chance that I didn't get. I want to give them hope for their future and I want them to know that we all stand behind them and we will do all we can do to support them as they continue on their journey. This is the cultural context surrounding my decision this year to give all of our North Slope high school graduates, including GED and KIITA students, a $500 scholarship to an institution of higher education or trade school, and an iPad that can give them greater access to researching opportunities for themselves. However, none of this context made its way into a recent Arctic Sounder article on the issue, which is a shame. Instead of focusing on many of the obstacles our students face after they graduate from high school — cultural, societal, or financial — the reporter chose controversy ginned up on social media. While I absolutely respect the opinions of all of the people that I serve, I don't believe that social media comments, taken out of the larger discussion, should be the central theme of any story, say nothing of the one that is as culturally layered as this one. As the first North Slope Borough mayor to graduate high school in Barrow, I vowed when elected to do everything I could to help our young people to get the education they need to succeed. At a time when the state of Alaska is struggling to meet its financial commitments, the North Slope Borough has been able to increase the local contribution to the School District by $1.16 million. The proposed contribution of more than $36 million represents the highest level of local contribution funding for the school district since the formation of the North Slope Borough. apologize for giving that extra help when we can. Harry K. Brower Jr. is the mayor of the North Slope Borough.